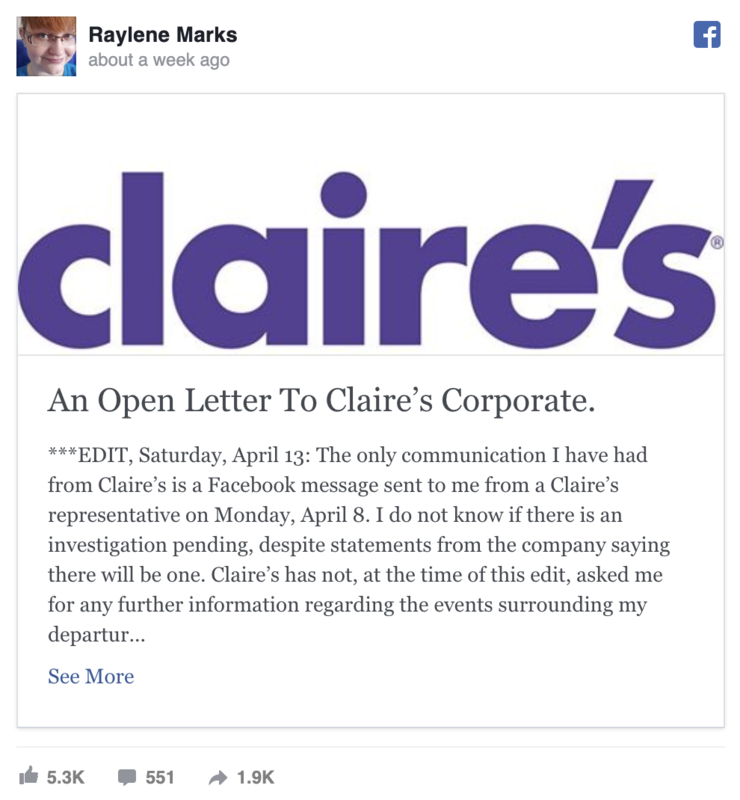 One alleged incident which happened last week was actually so bad, that it caused her to put in her two-weeks notice, after a 7-year-old cried and begged her mother not to get the piercing done. You can find the full original Facebook post here. The girl and her mother had come to Claire’s to get a “double” — which means that two piercers would be piercing at the same time… I think I actually had the same done many many moons ago! Anyway – “It’s reserved for nervous kids who might change their mind after the first earring goes in,” she wrote. She also added that the mom was definitely putting a great deal of pressure on her daughter to go through with the procedure and that the poor child was showing very clear signs that she was incredibly uncomfortable. “This child was articulate, smart, and well aware of herself and her body. She expressed that she didn’t want us touching her, that we were standing too close, that she was feeling uncomfortable. She made it clear she no longer wanted to get her ears pierced. She begged, over and over again, for Mom to please, just take her home. 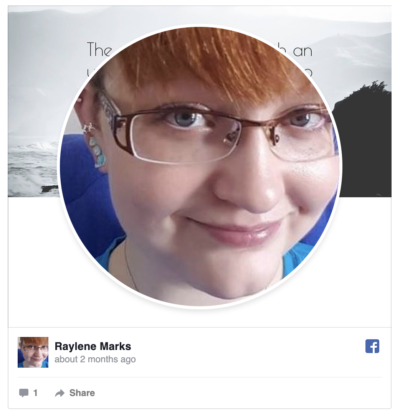 Marks eventually told the other piercer on duty with her that she could not go through with it at all, and luckily the girl’s mother eventually agreed that it was indeed best that they go home. However – that wasn’t the end of Mark’s story. The next day she claimed that she was then approached by a store manager who was upset that she had refused to pierce the child… because, let’s be honest, there is always that one manager, am I right? It’s a “company policy” that understandably really truly rubbed Marks the wrong way. 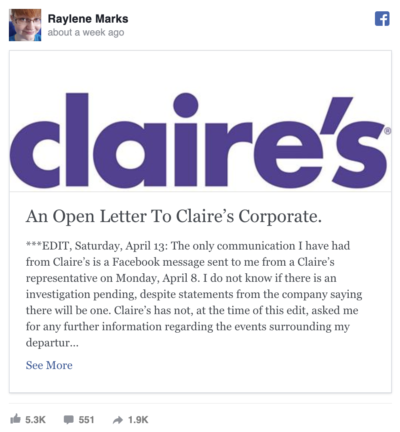 Marks said her manager also claimed that other managers in the district agreed with her about Claire’s piercing policy and even reached out to the district sales manager, who said that this policy was correct. “Children can be held down and pierced. Children do not have a voice in the piercing process. The associate doing the piercing has no right to refuse to shoot metal through the ears of a child who begs not to be touched,” Marks wrote.